Addison wall unit with Celeste swivel chairs. The beauty of modern media storage is it keeps up with ever-changing electronics and technology. 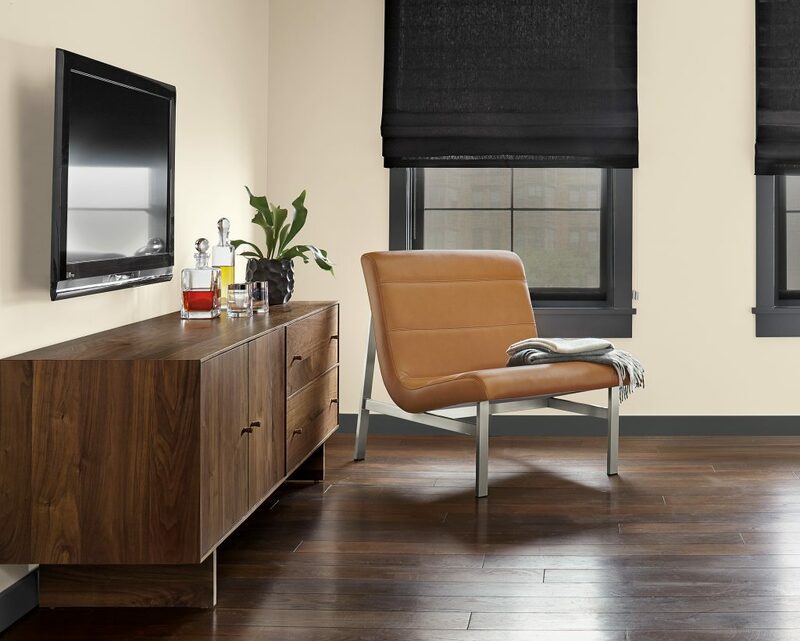 Luckily for us, all of our media solutions are rooted in versatile design and natural materials to look right at home for years to come. 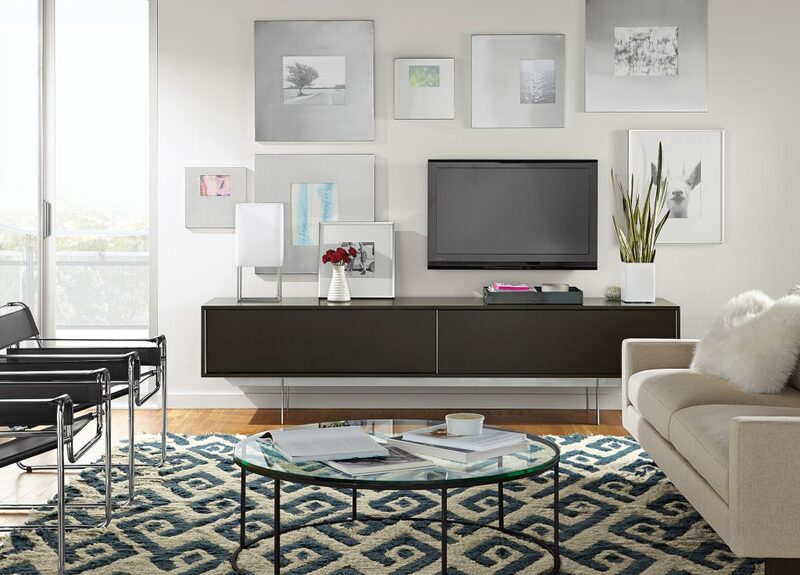 No matter your set-up, you can showcase the beauty of media storage. You can even keep our media cabinets free of all electronics and let the inherent beauty of the piece shine through in other ways. Like, using it as a modern setting for frames, mirrors, greenery and more. We love how our Hudson media cabinet seamlessly acts as a bar cart in this living room and offers a modern setting for the TV screen. Who needs screens? A beautiful frame display over our Grove cabinet adds a one-of-a-kind look to any home. Leaning shelves are a great way to infuse a modern look into your home. 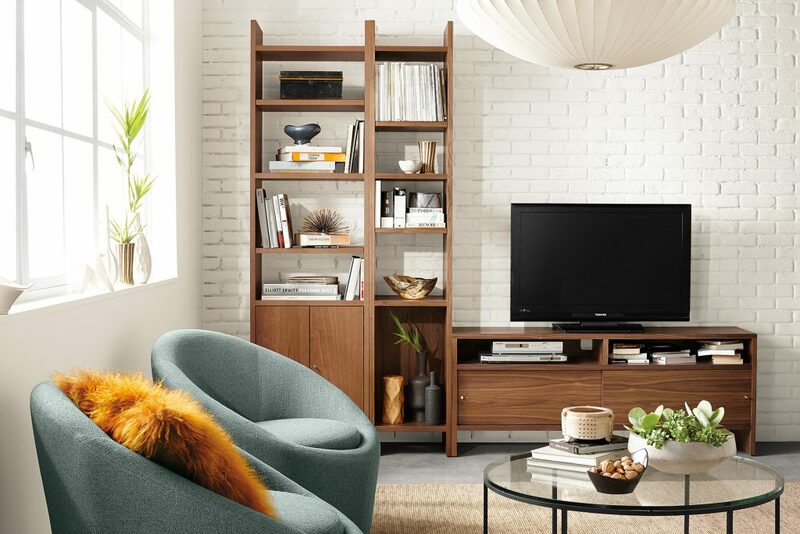 Our Gallery Media Leaning Shelf gives you countless ways to store and share your favorite books, electronics and more in a beautiful way. Our Smith cabinet matches the sleek design of this space. 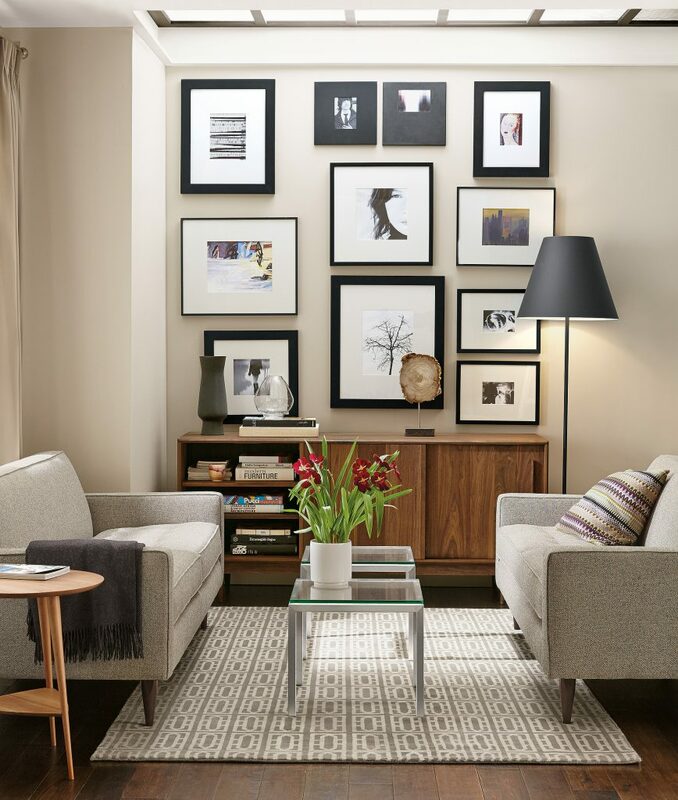 Make your TV screen part of a gallery wall for an ultra-fresh look. 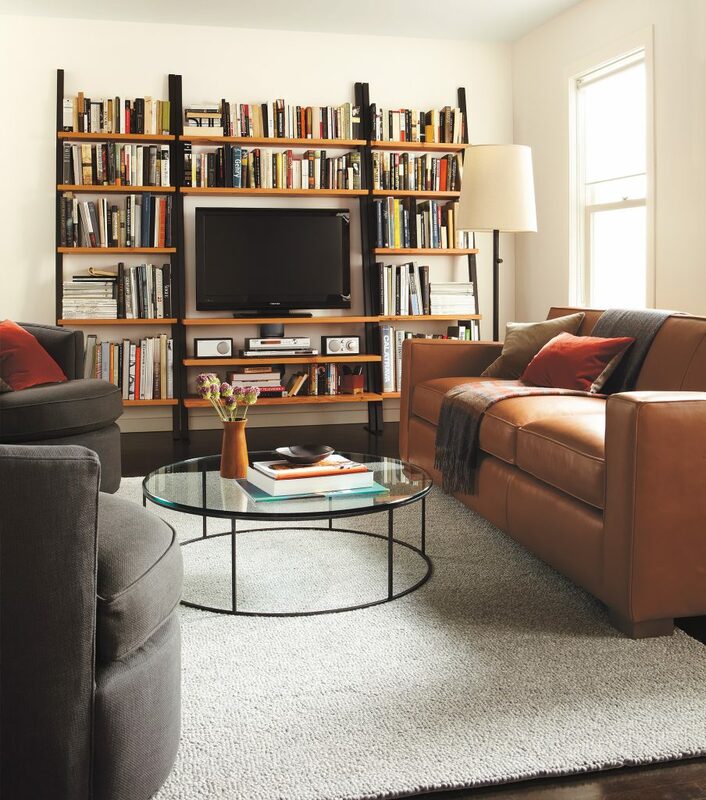 Share your modern media storage solutions by tagging us on Instagram with #roomandboard.